Pervomaisk [Первомайськ; Pervomajs'k]. Map: Syniukha River and the Boh River and a raion center in Mykolaiv oblast. It was formed in 1919 through the amalgamation of three separate settlements, Olviopil, Bohopil, and Holta, each of which was founded by a different state. 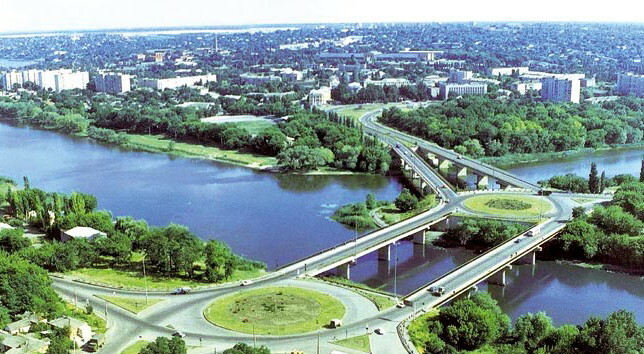 In 1420 the Lithuanian grand duke Vytautas the Great constructed a bridge for merchants and traders near the present site of the city. Later a Zaporozhian Cossack fortress called Orlyka was built on the left bank of the Syniukha River, and by 1774 a village called Orlyk had arisen there. 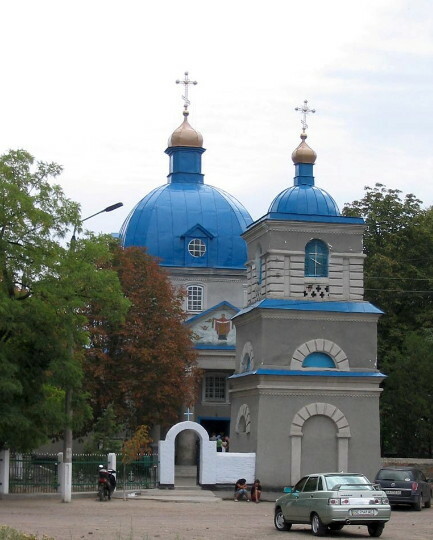 Eventually the settlement was renamed Yekaterynyshanets, and in 1782, Olviopil. Nearby, on the right bank of the Boh River, Cossacks and Ukrainian peasants founded Holta, which was under Turkish rule until 1791, when it was acquired by Russia. The third settlement, Bohopil, arose after the Poles built a fortress and a frontier post on the left bank of the Boh River. In the mid-18th century, the frontiers of three states, the Russian (the Zaporizhia), Ottoman, and Polish, met at that point. Today Pervomaisk is a major industrial center. Its plants produce sugar, beer, furniture, textiles, plastic goods, construction materials, and machines.